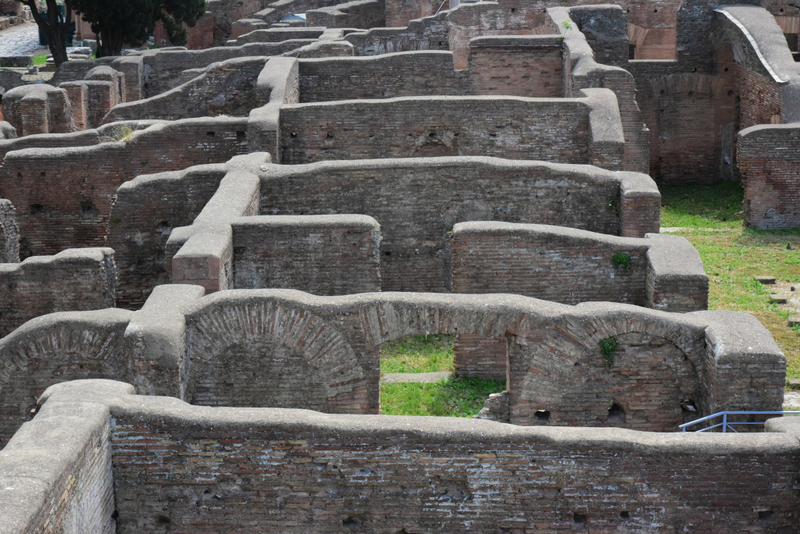 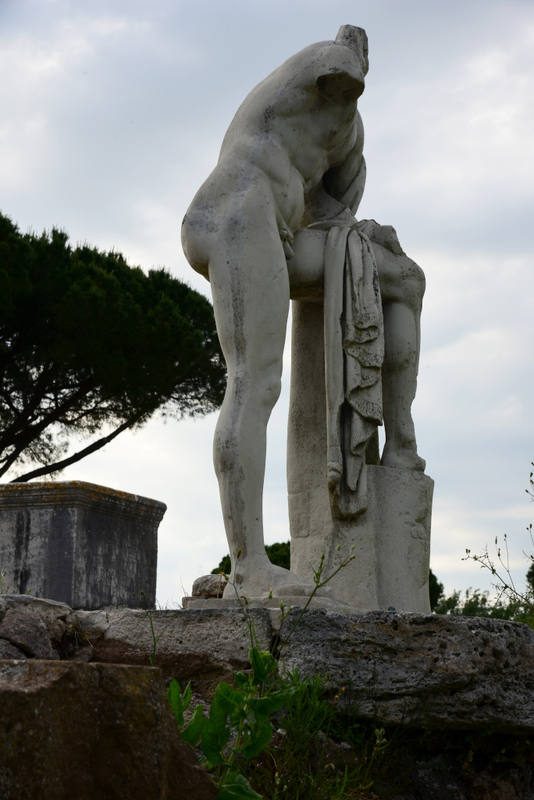 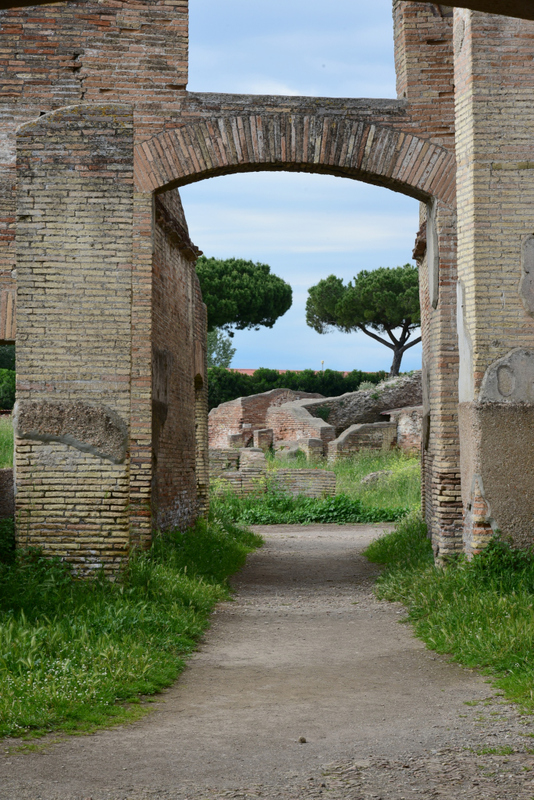 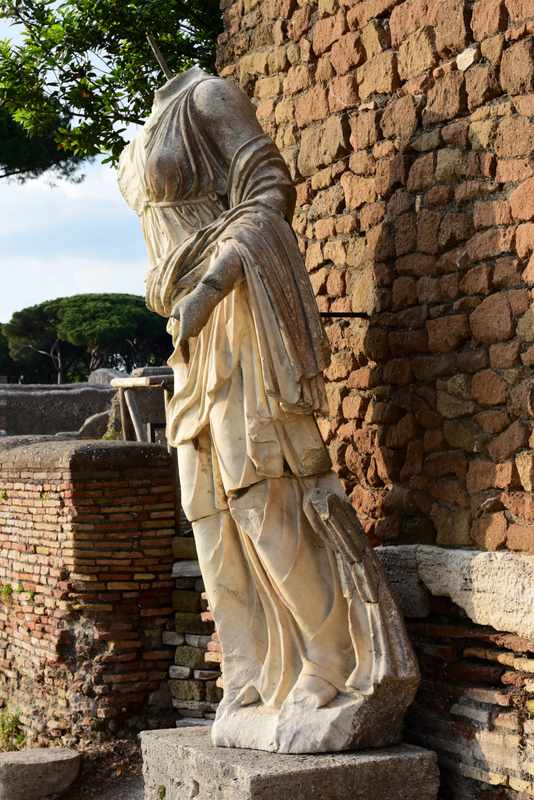 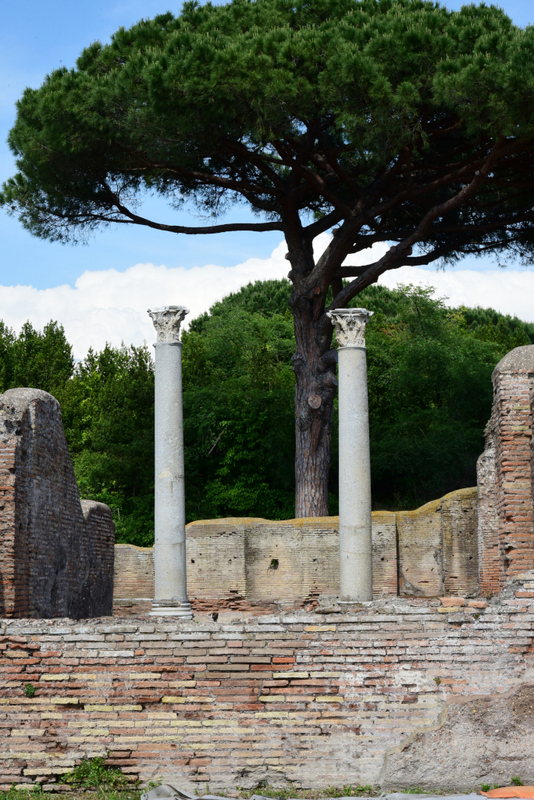 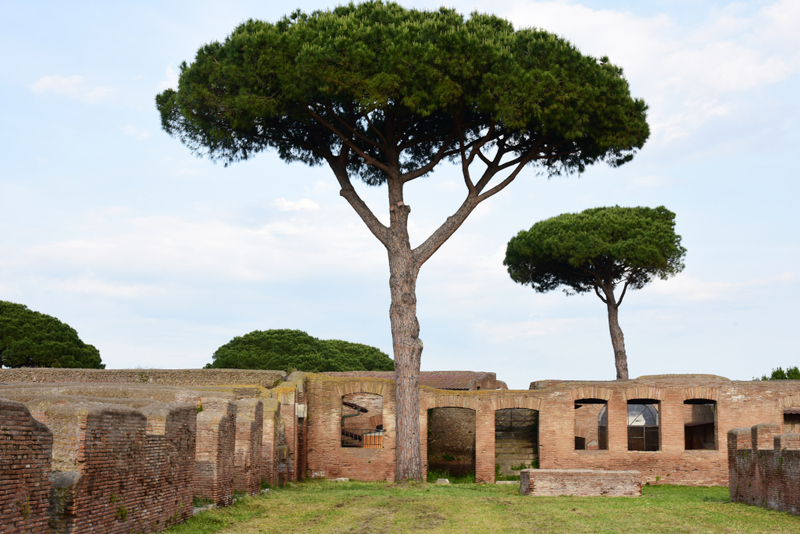 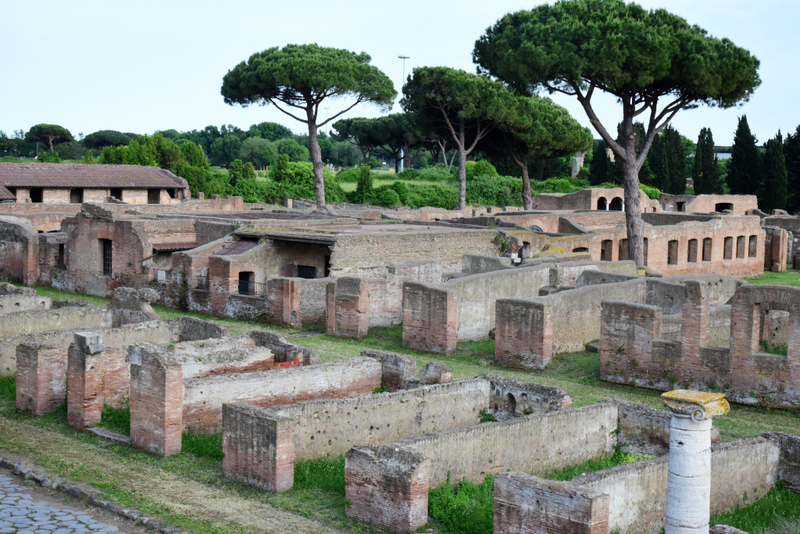 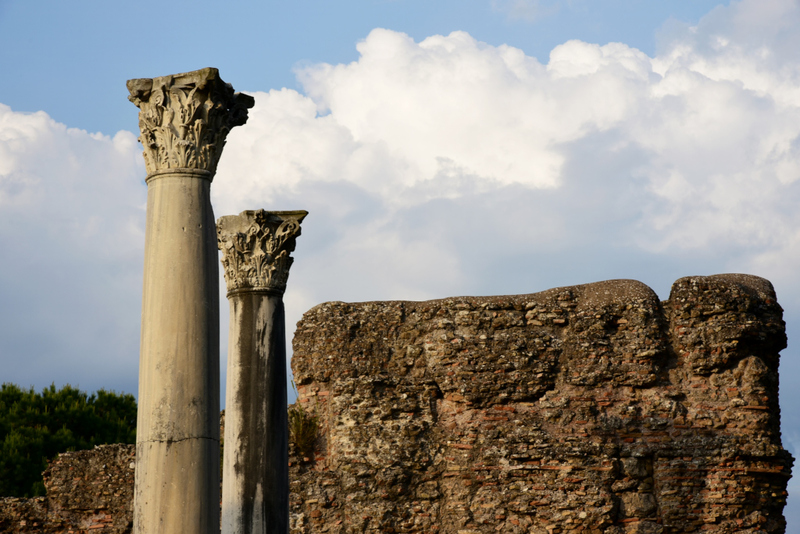 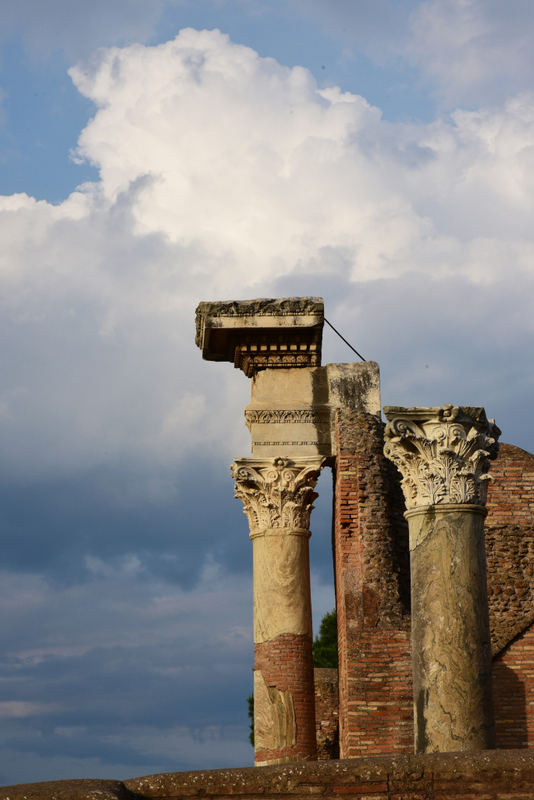 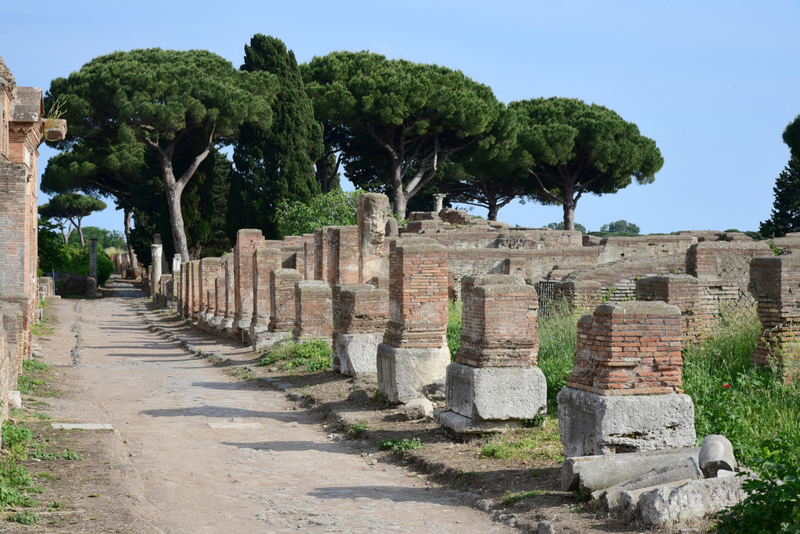 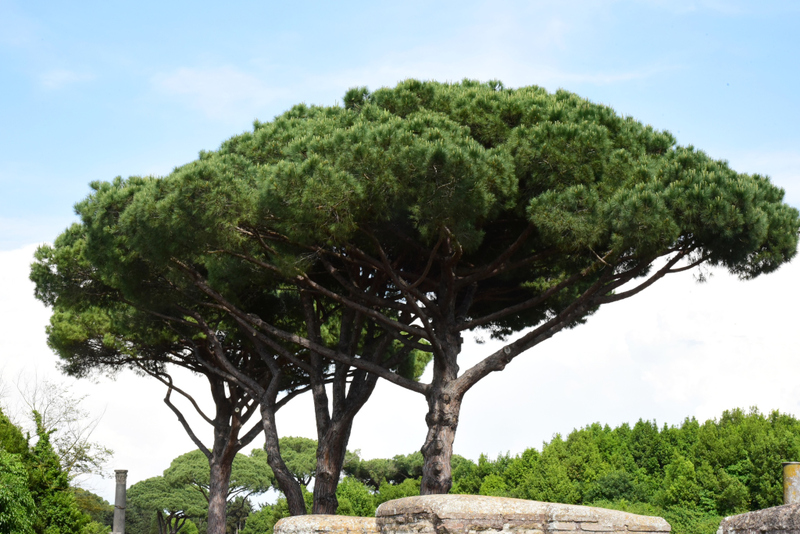 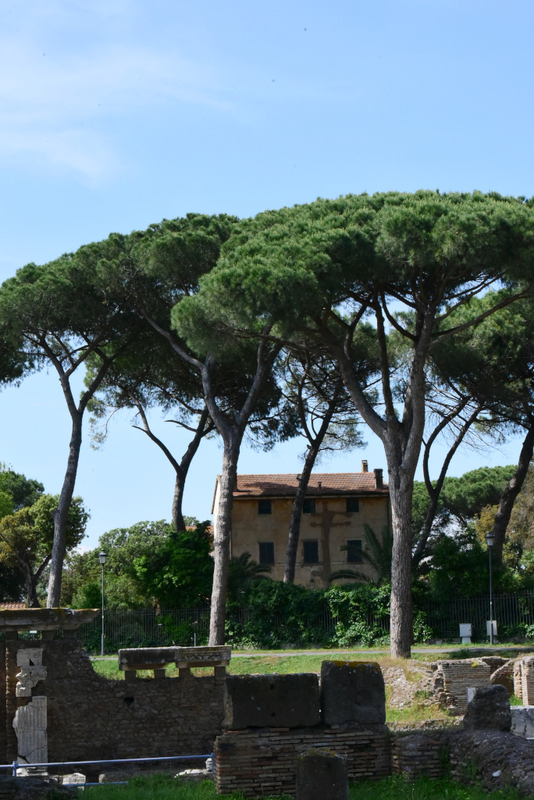 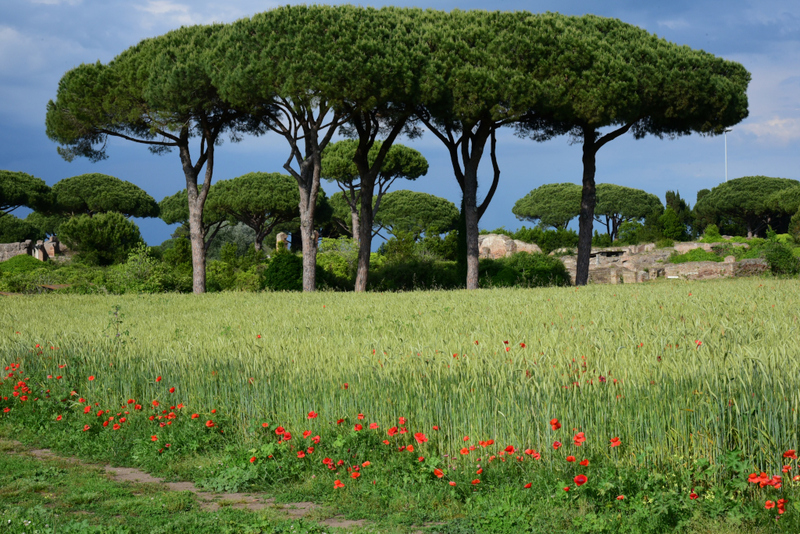 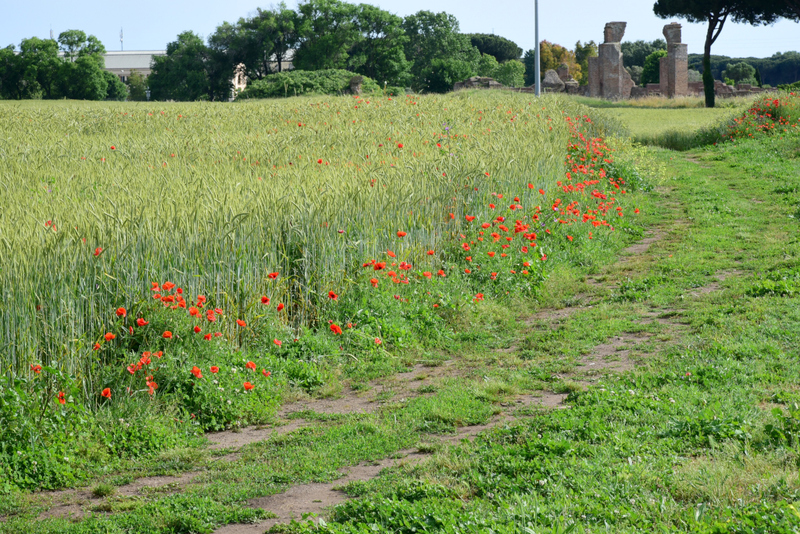 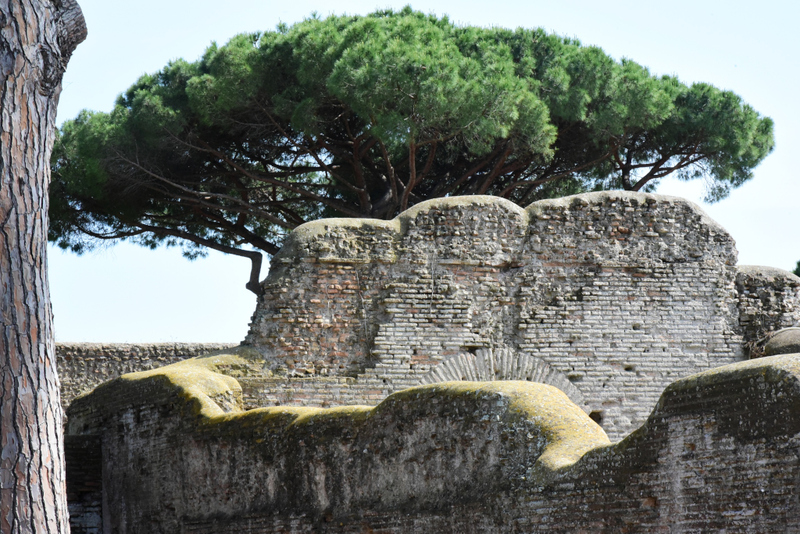 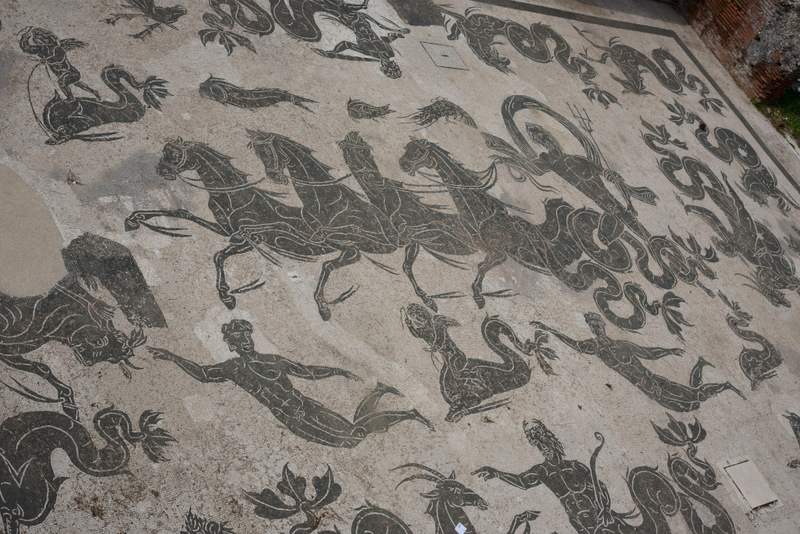 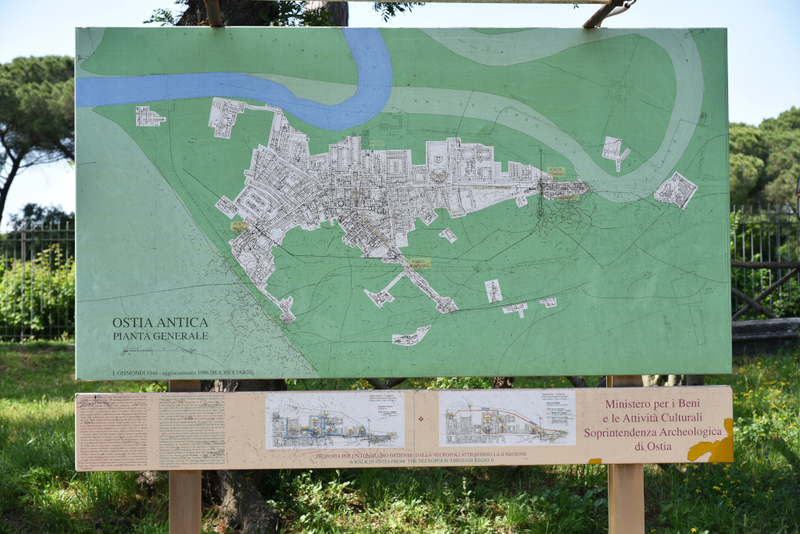 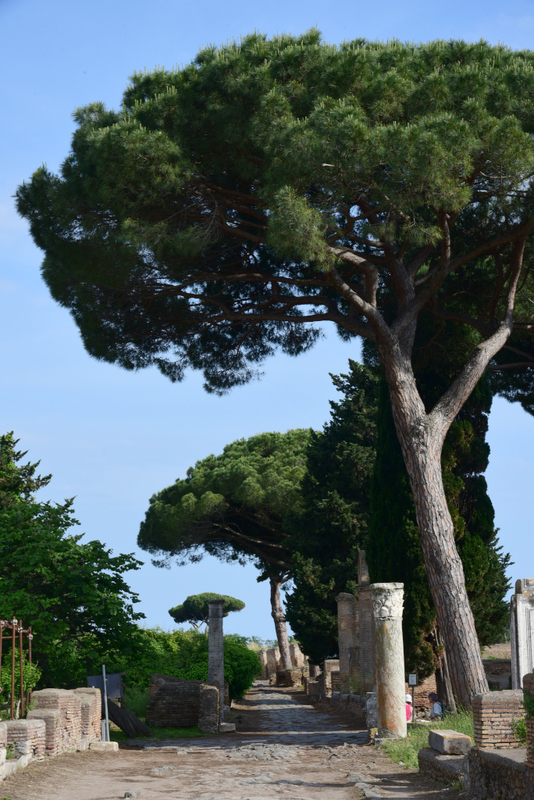 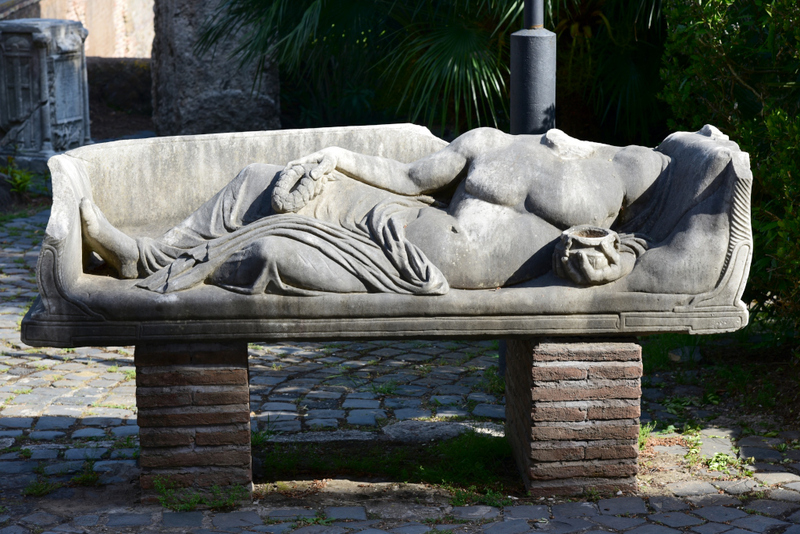 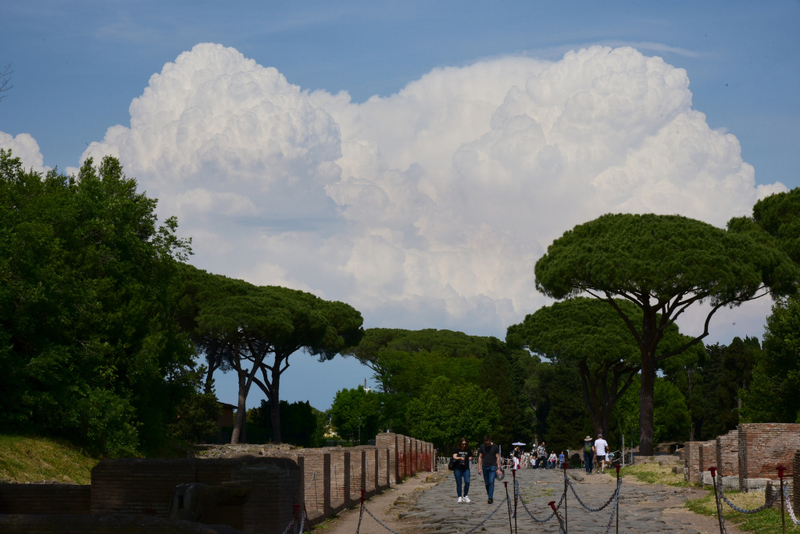 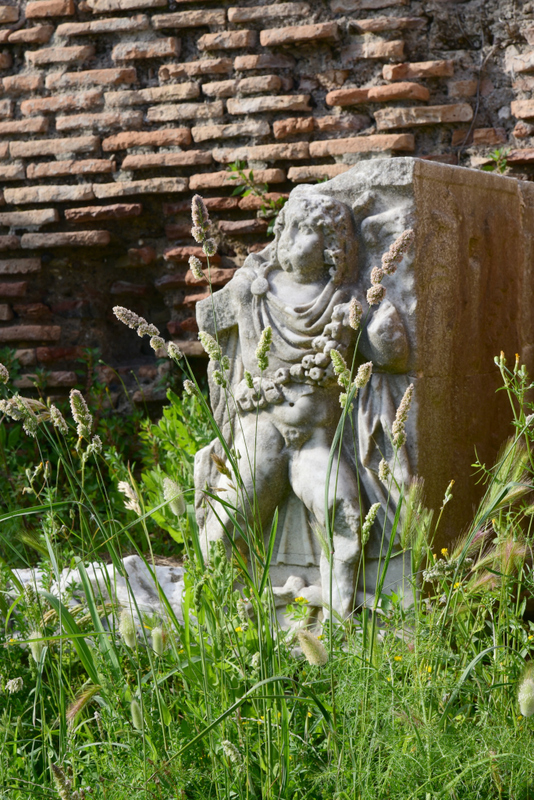 Ostia Antica is the archaeological site of ancient Rome’s seaport, now located 3 km inland from the sea. 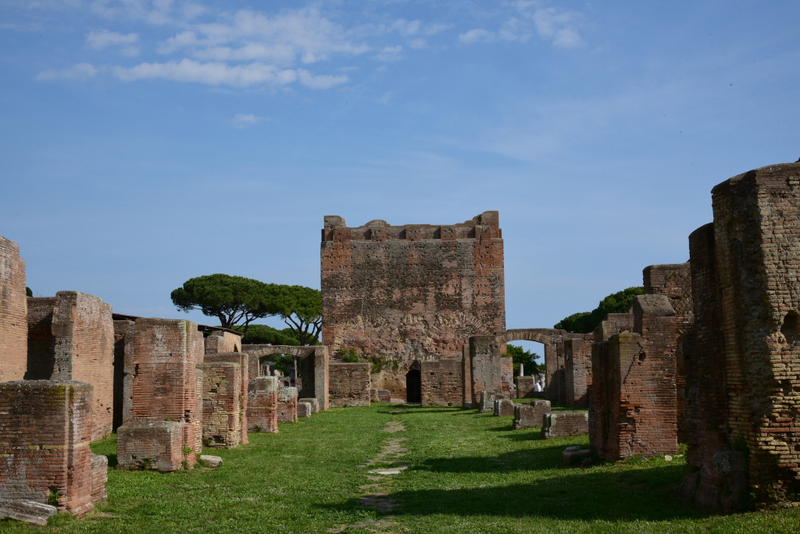 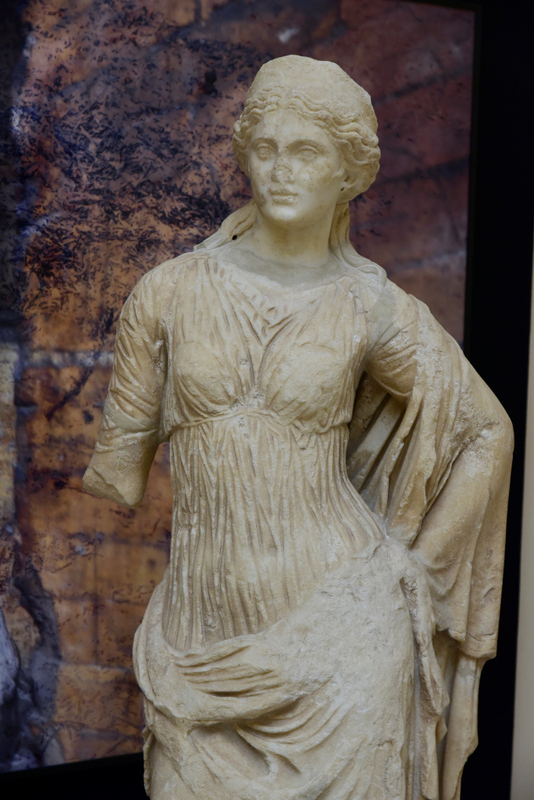 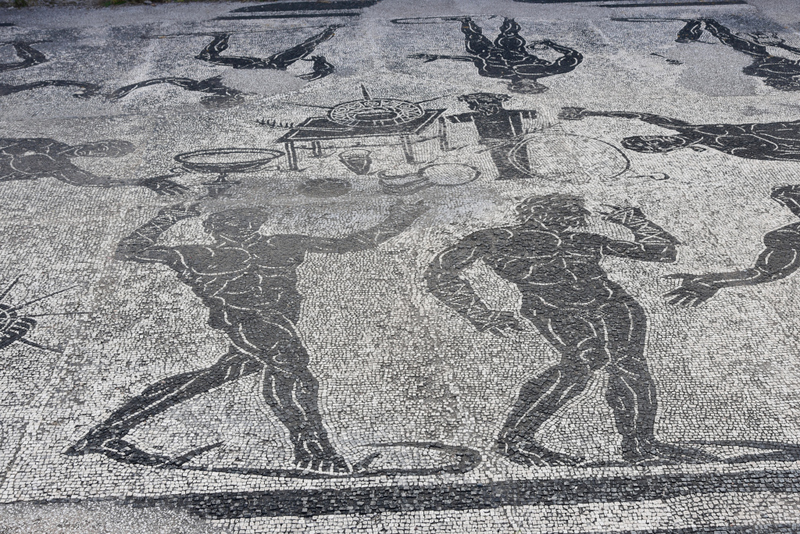 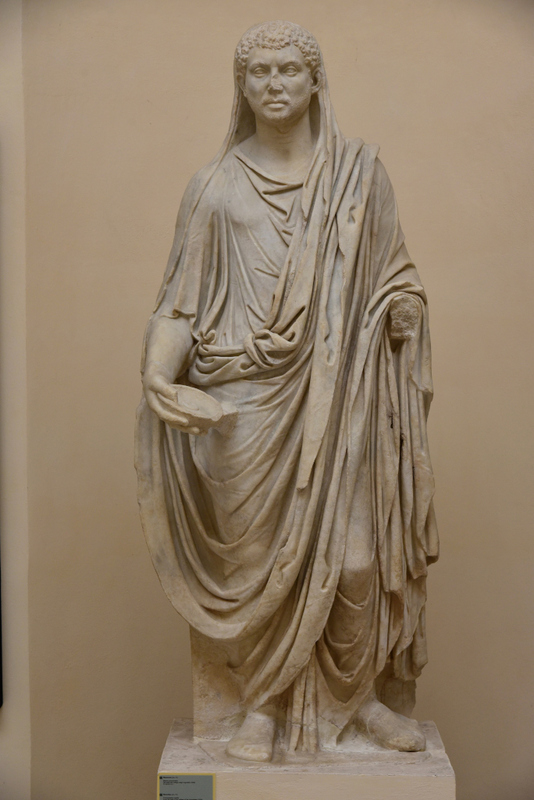 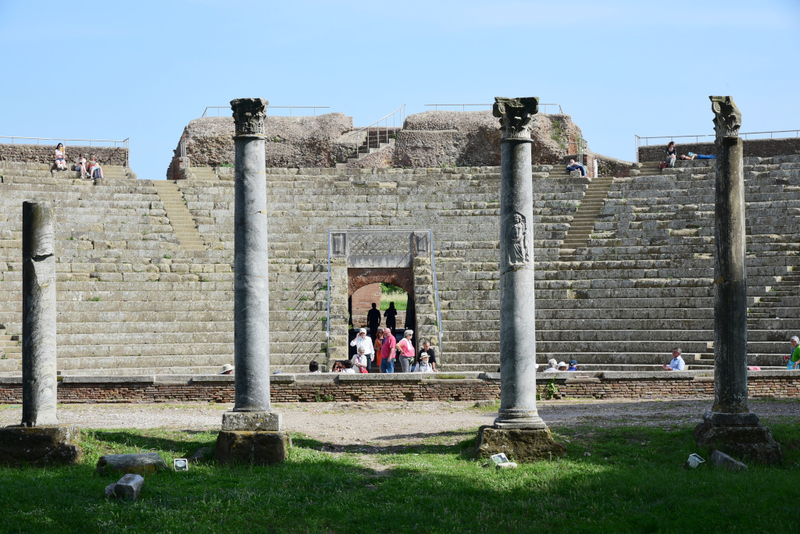 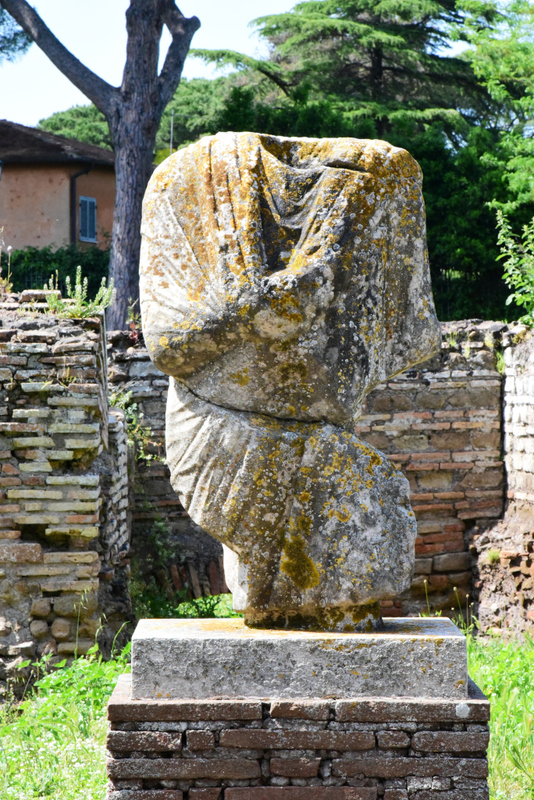 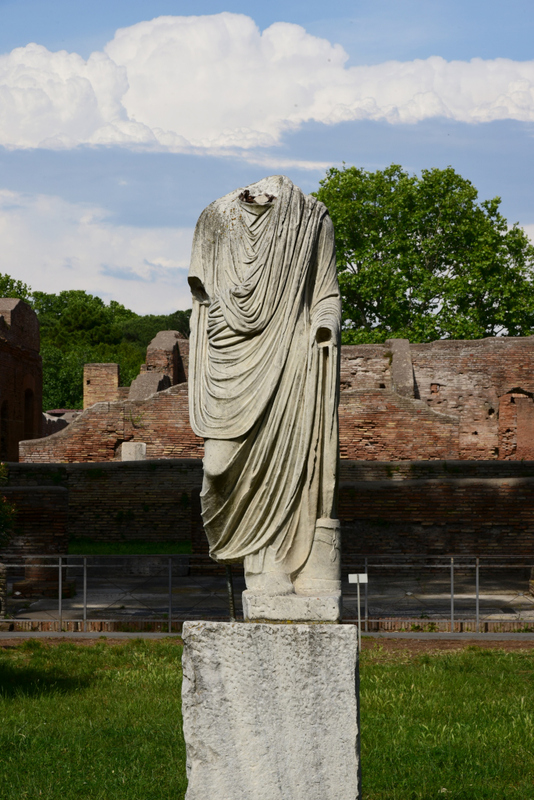 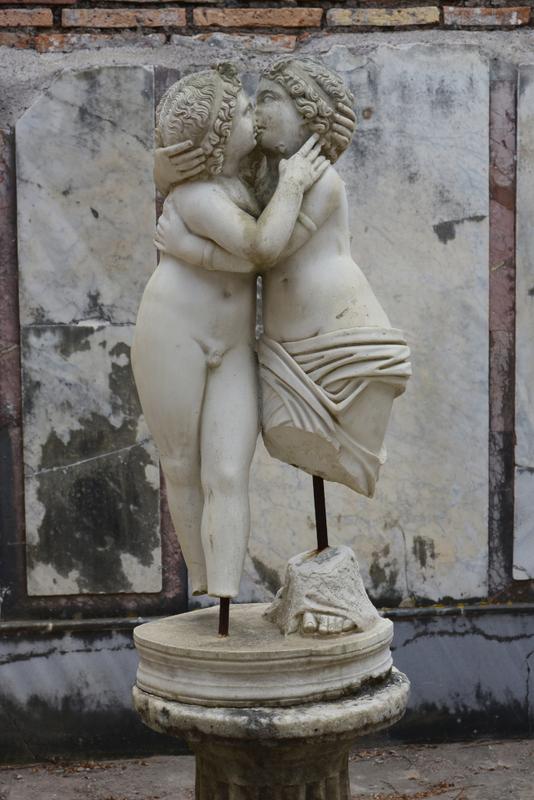 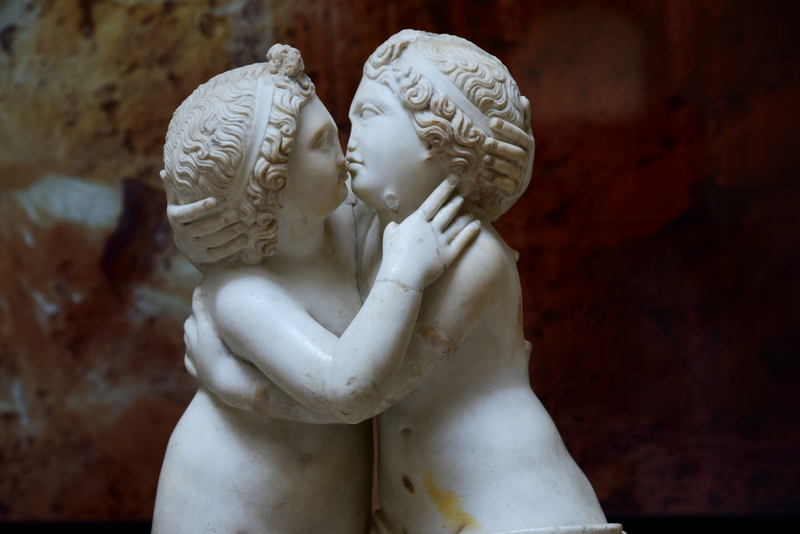 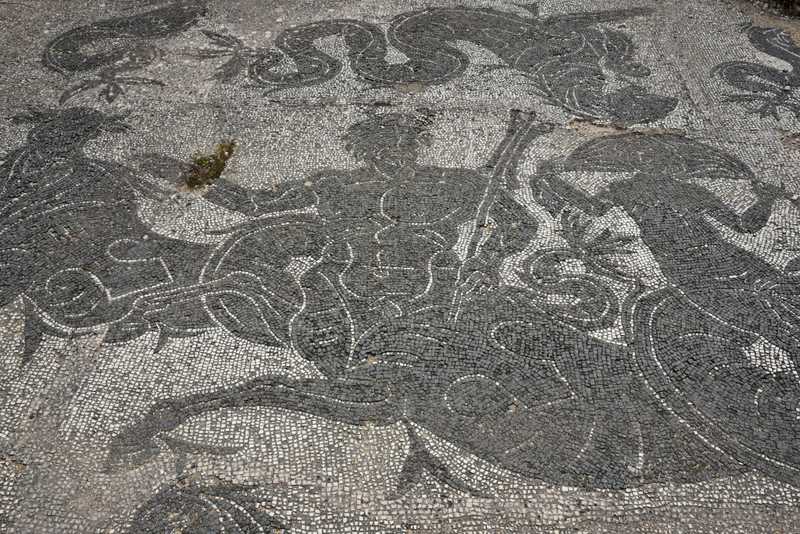 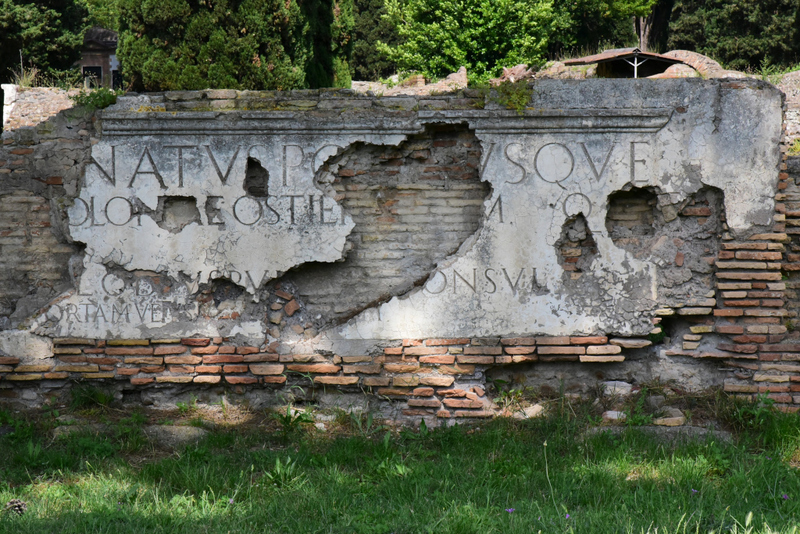 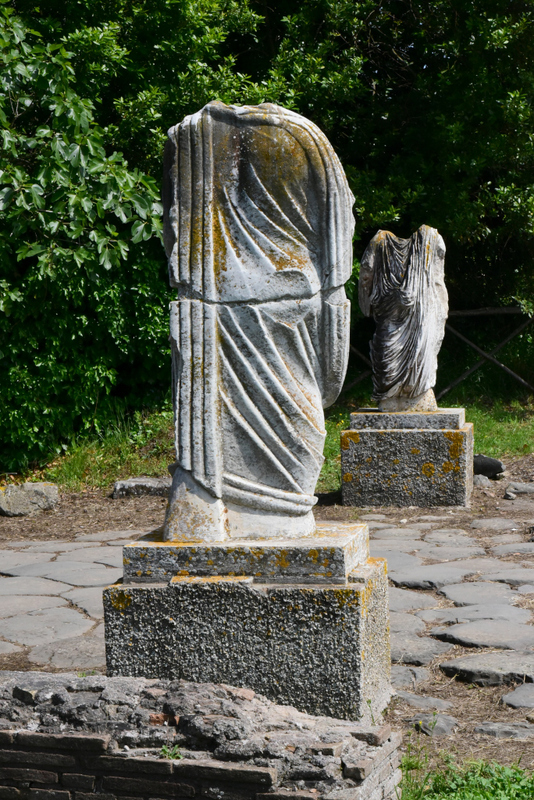 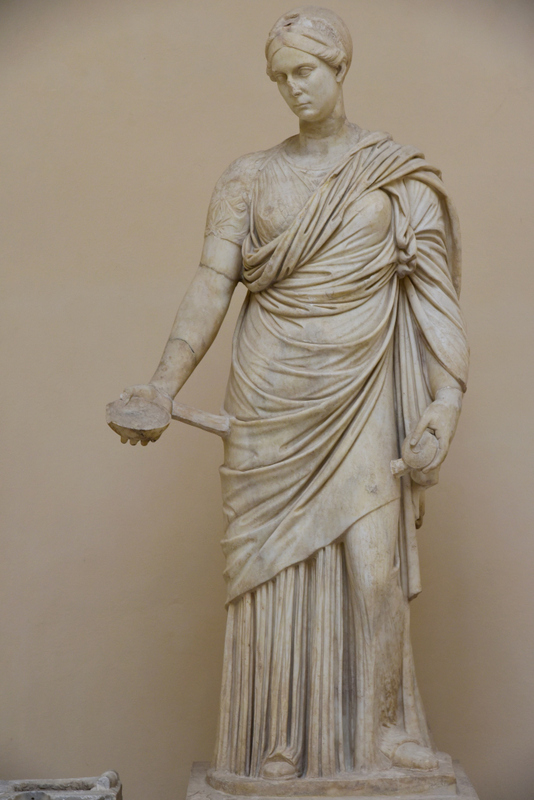 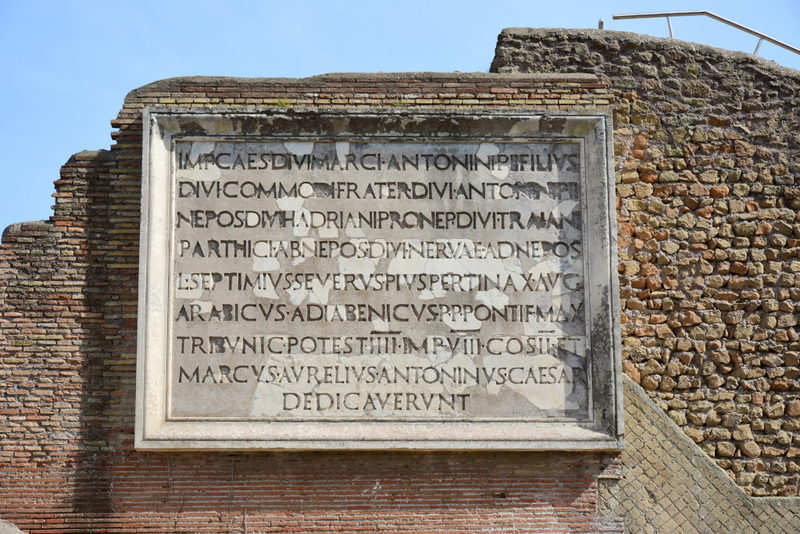 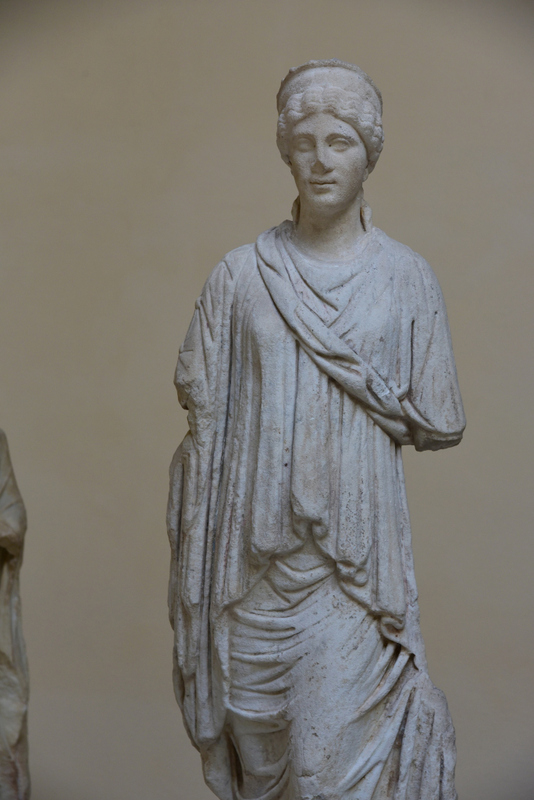 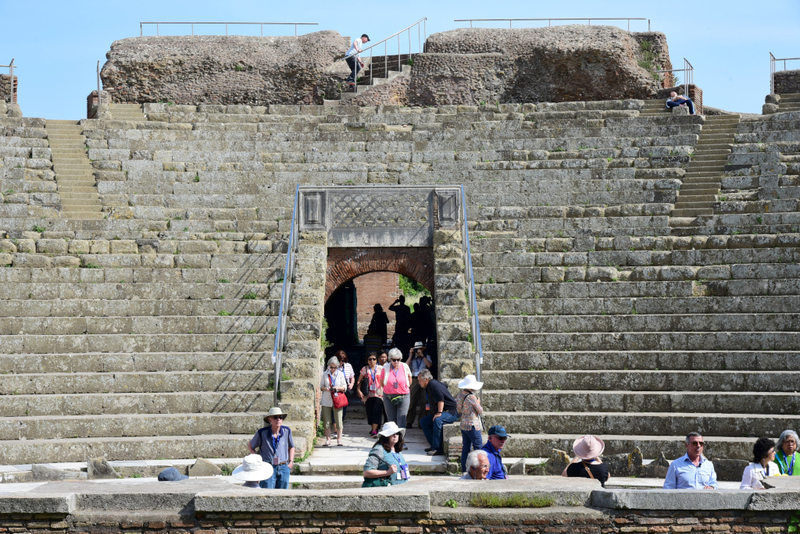 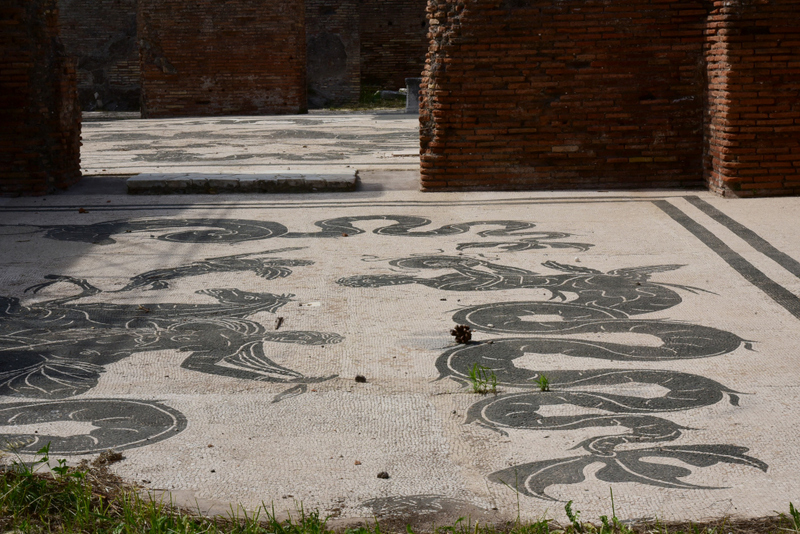 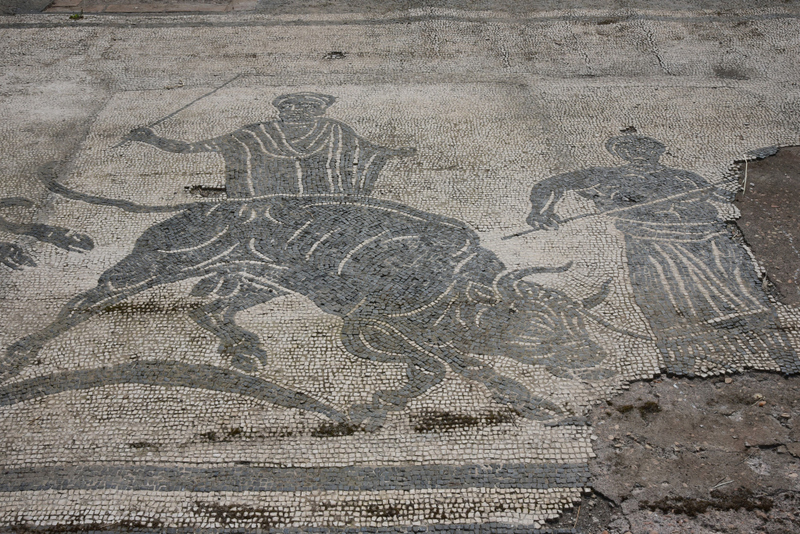 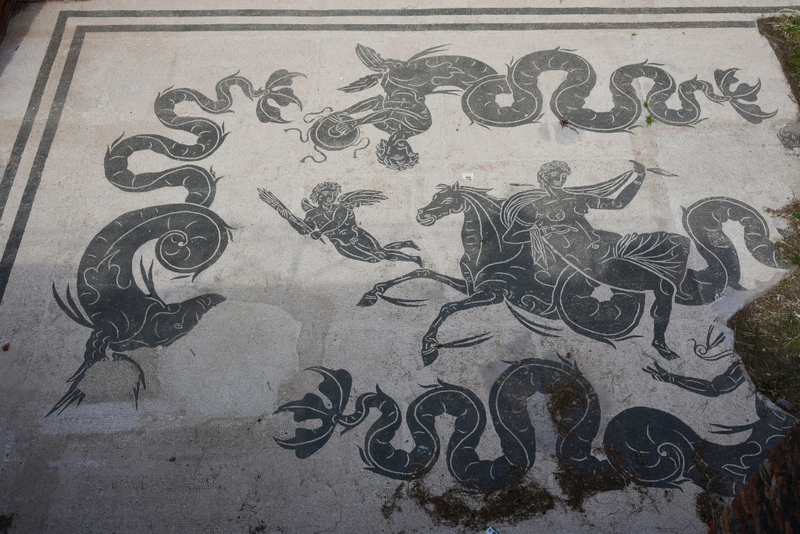 While Ostia features remains that date back as early as the 4th century, it is thought the site may have been established as early as the 7th century B.C. 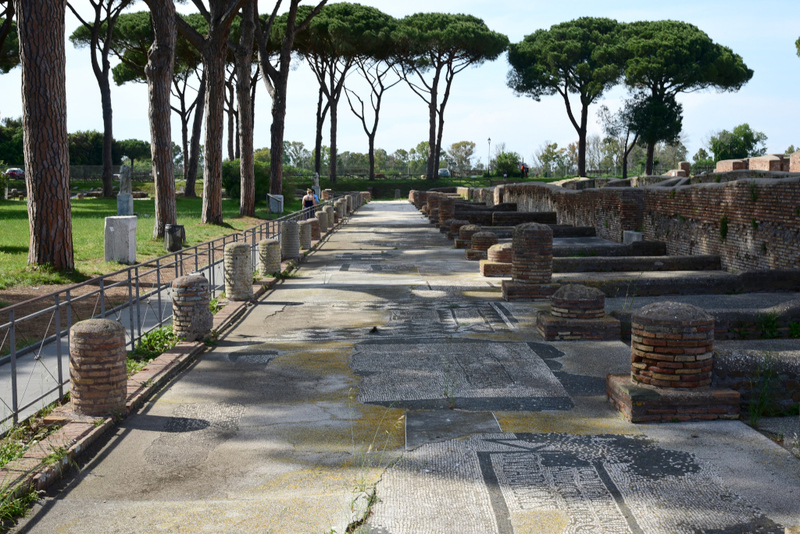 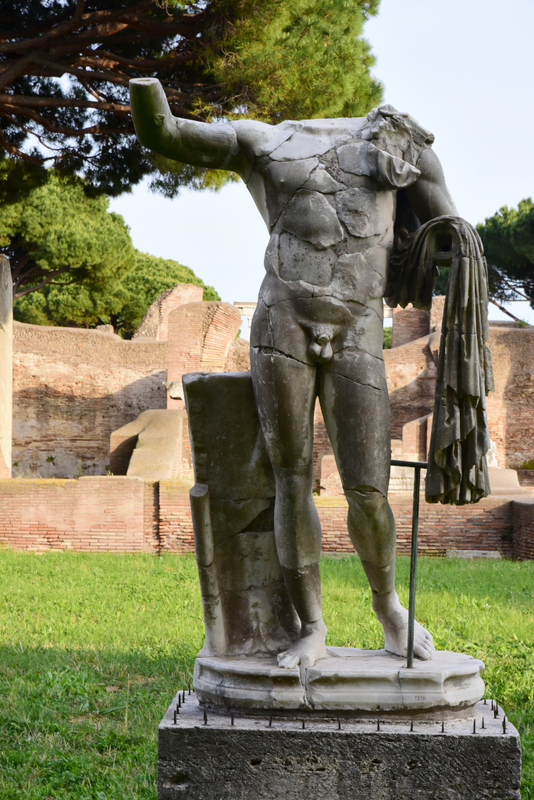 Ostia Antica became Rome’s main seaport during the Roman Republic (509 BC – 27 BC) and the city was largely improved by Julius Caesar and Tiberus during the Roman Empire. 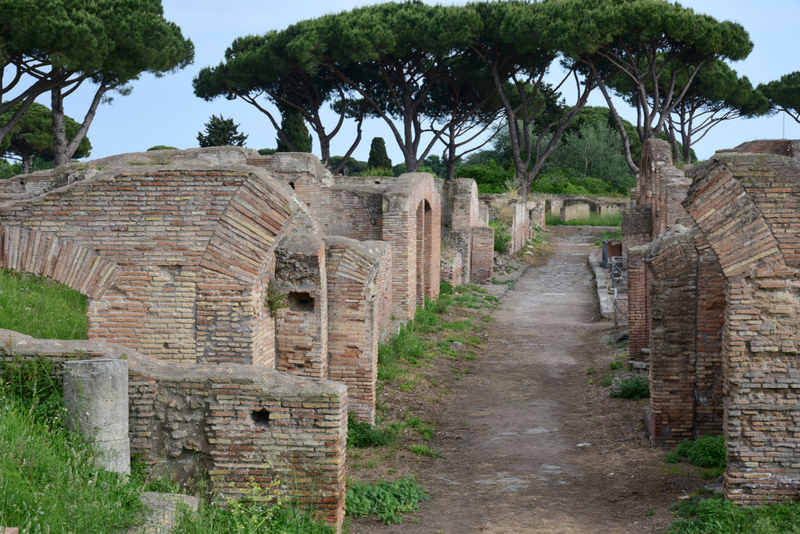 Ostia grew to a population of 100,000 inhabitants by 2nd to 3rd centuries, after which it experienced a gradual decline as port-related activities moved to nearby Portus, and Ostia transitioned to a beachside resort. 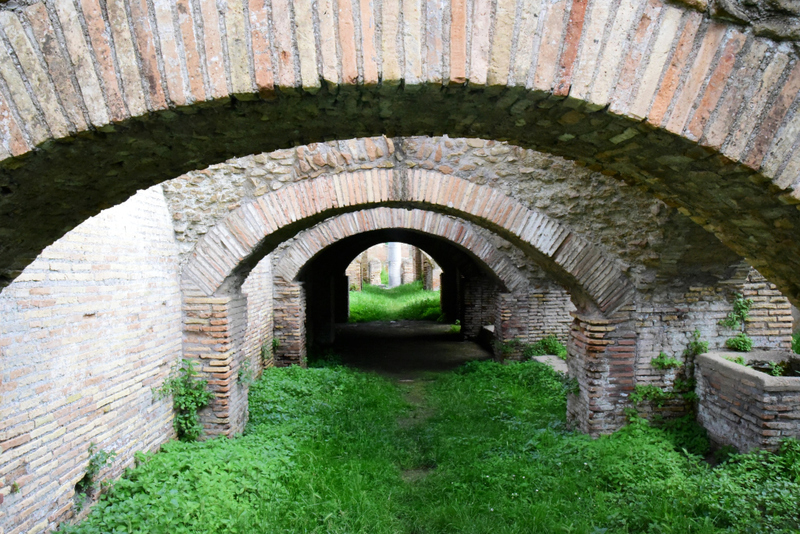 Following the end of the Roman Empire, Ostia fell into decay and was abandoned by the 9th century due to continued invasions. 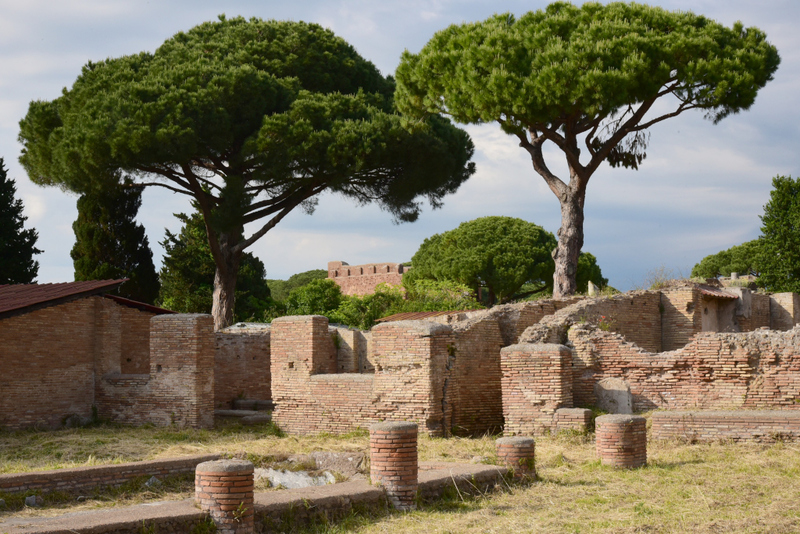 Ostia Antica is quite substantial in size, reflecting the remains of residential and commercial structures that were built over the centuries during the Roman Republic and Empire. 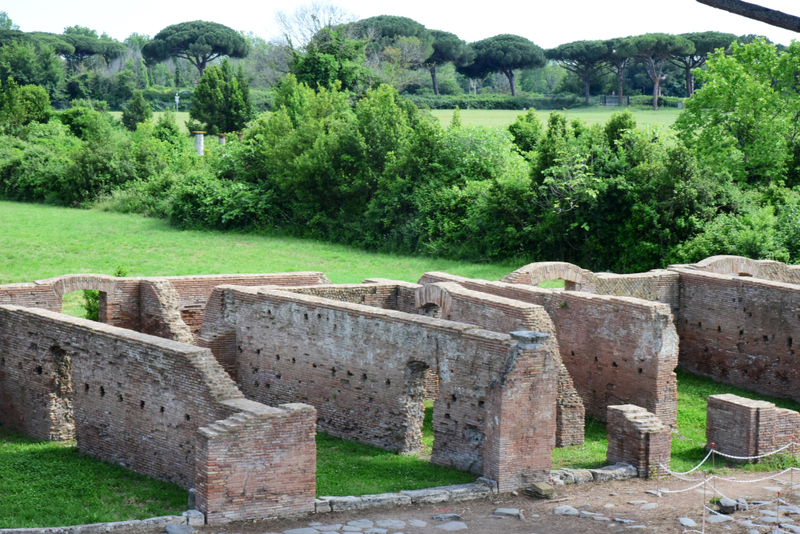 Most of the structures are in ruins, but some relatively intact. 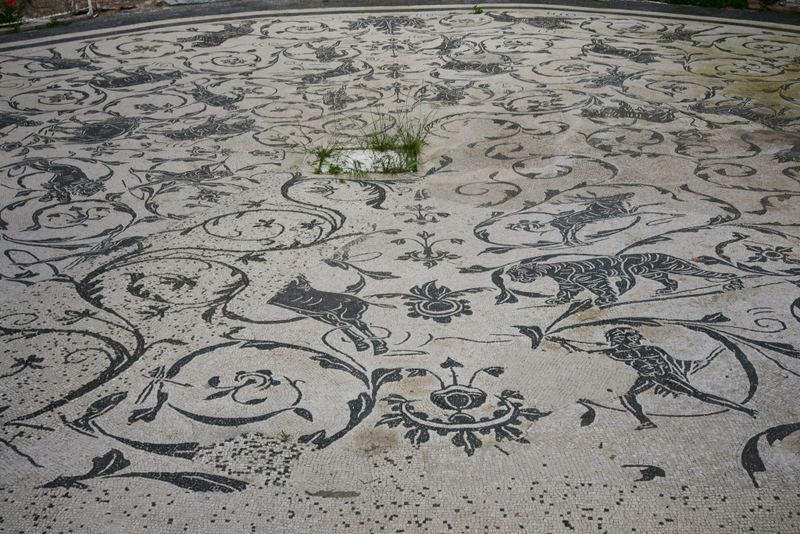 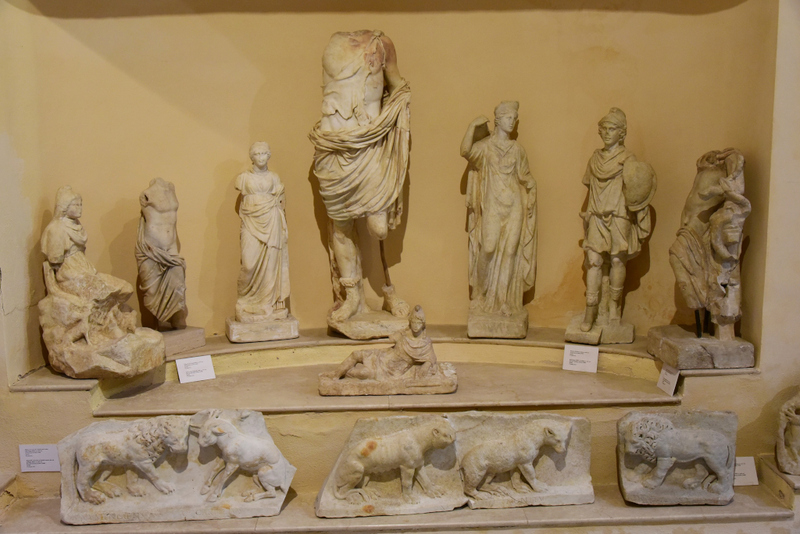 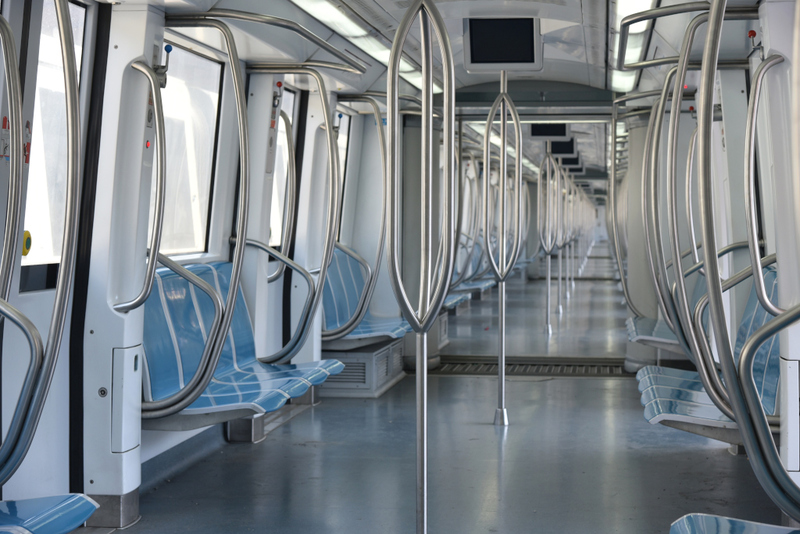 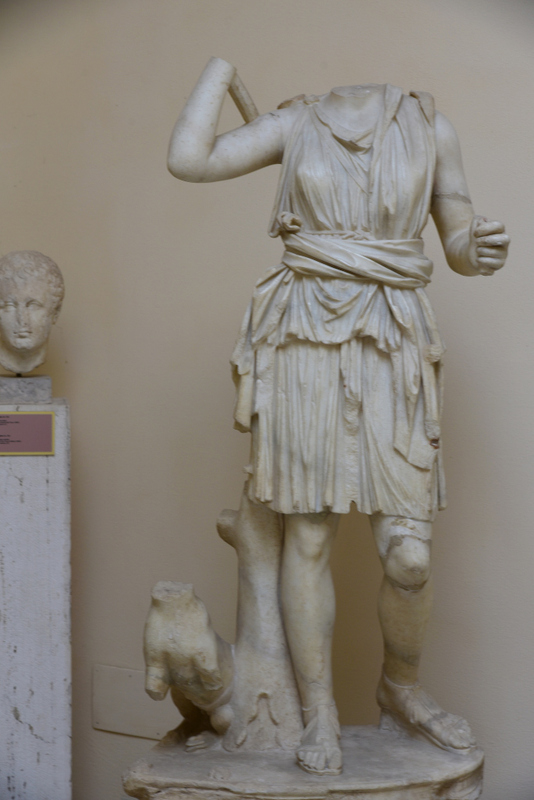 Occasionally statues are visible, as are expansive tiled surfaces with elaborate designs. 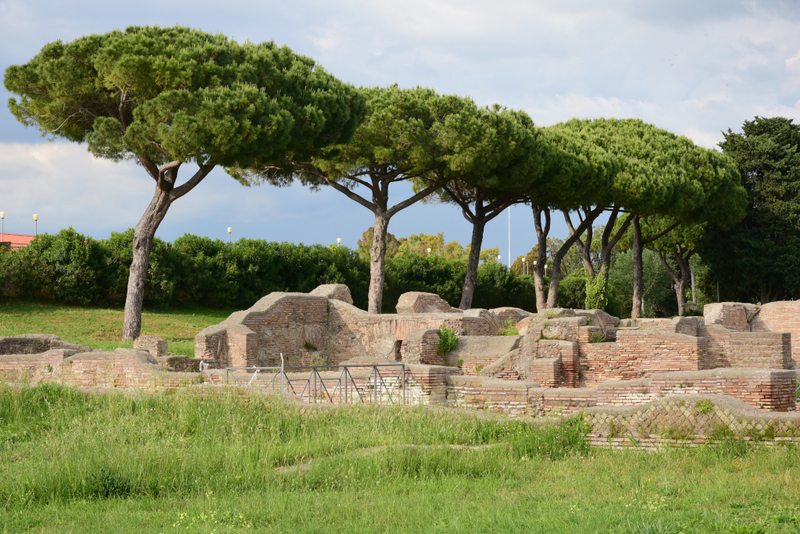 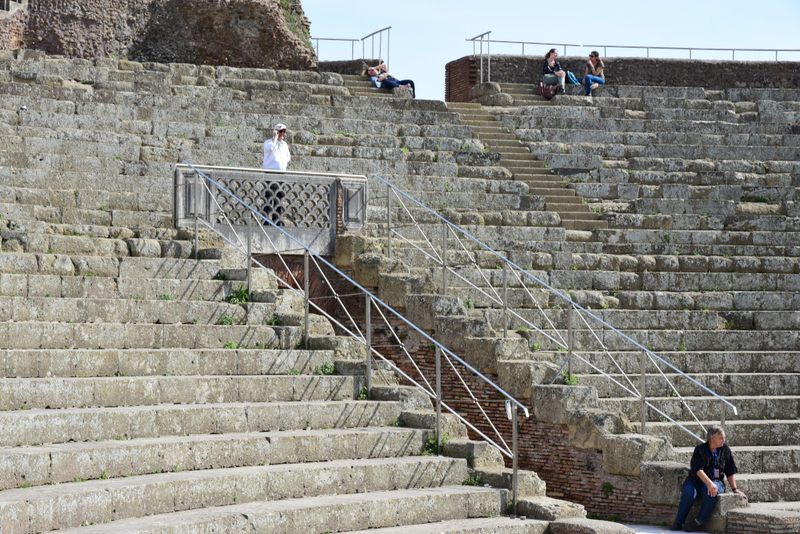 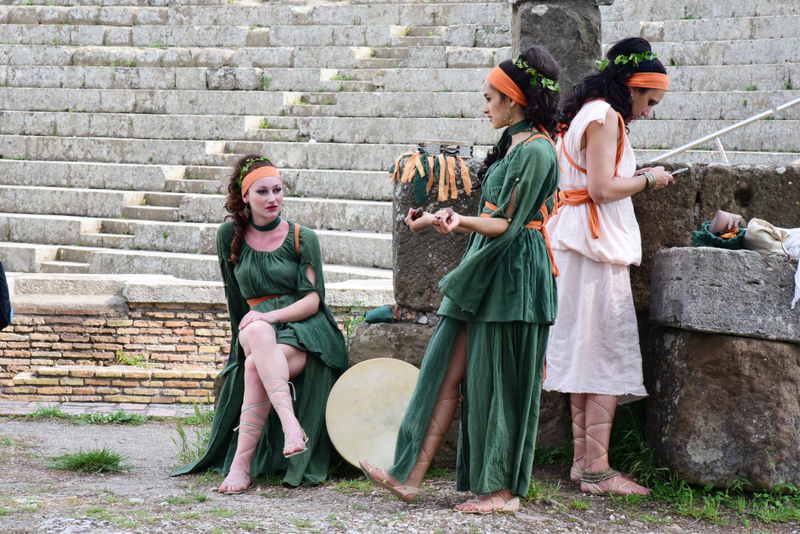 In the centre of Ostia Antica lies the theater, one of the oldest of brick in the world, still used for concerts. 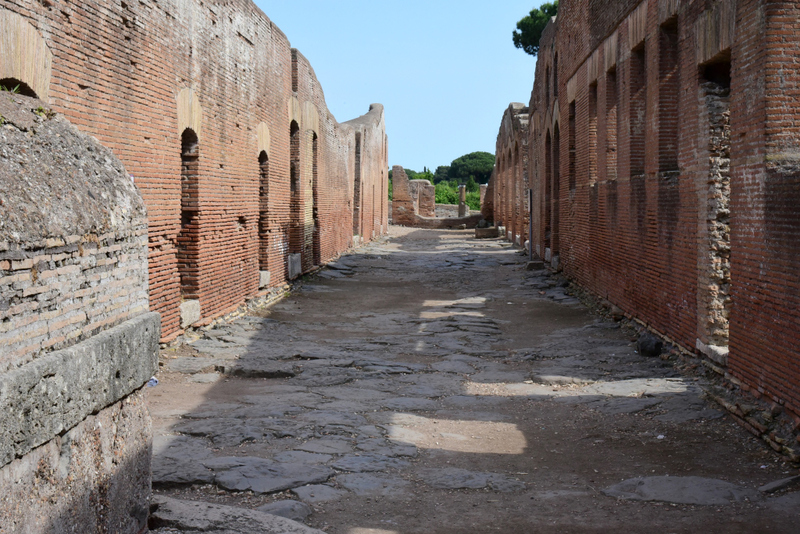 In front of the theater lies the grand Square of the Guilds, with more than 60 offices of ship-owners and traders. 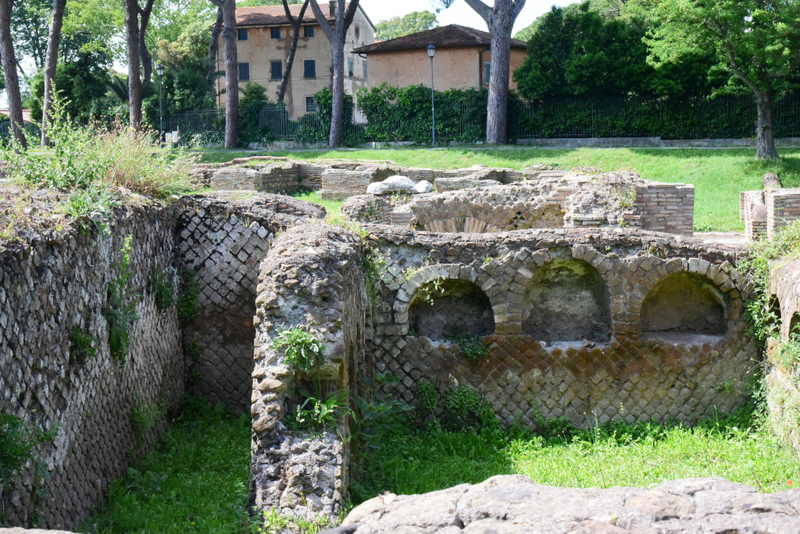 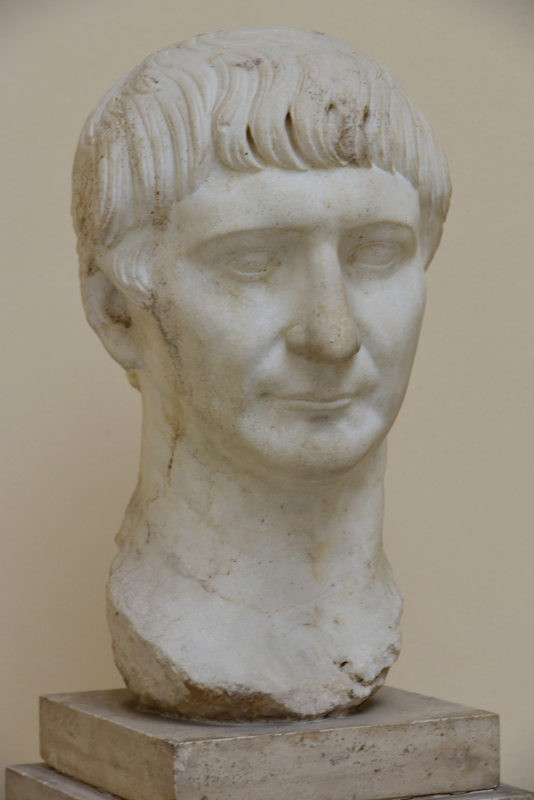 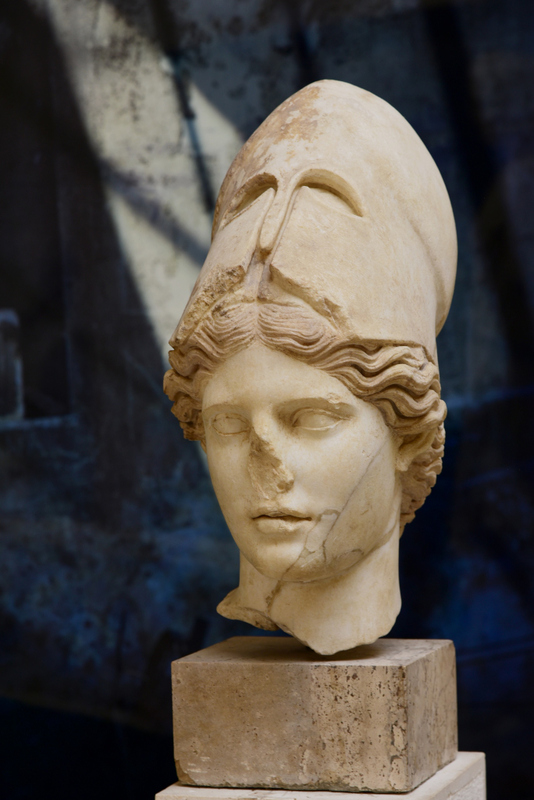 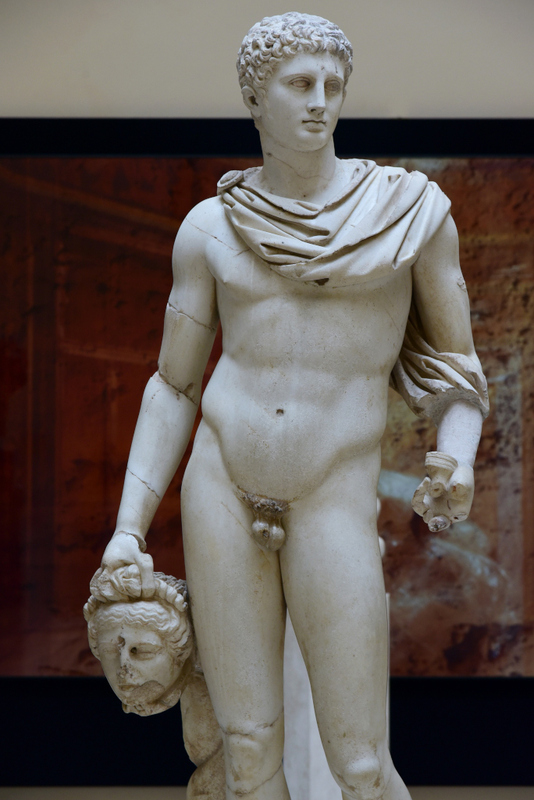 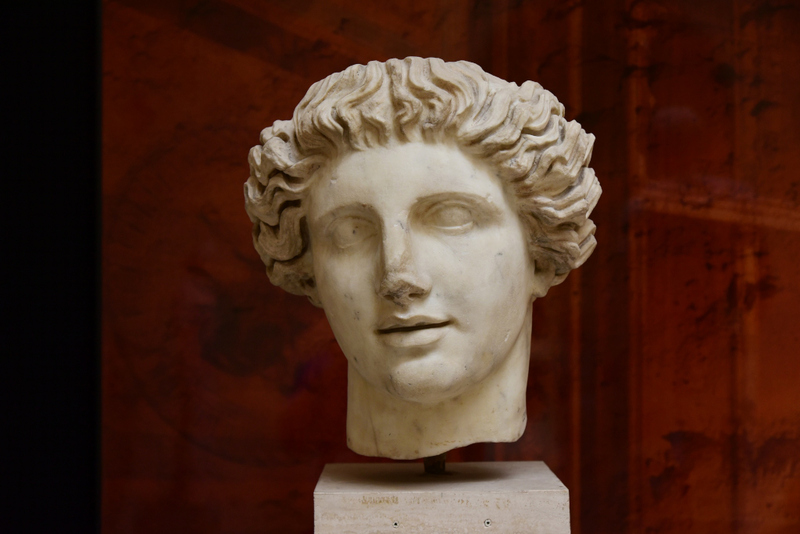 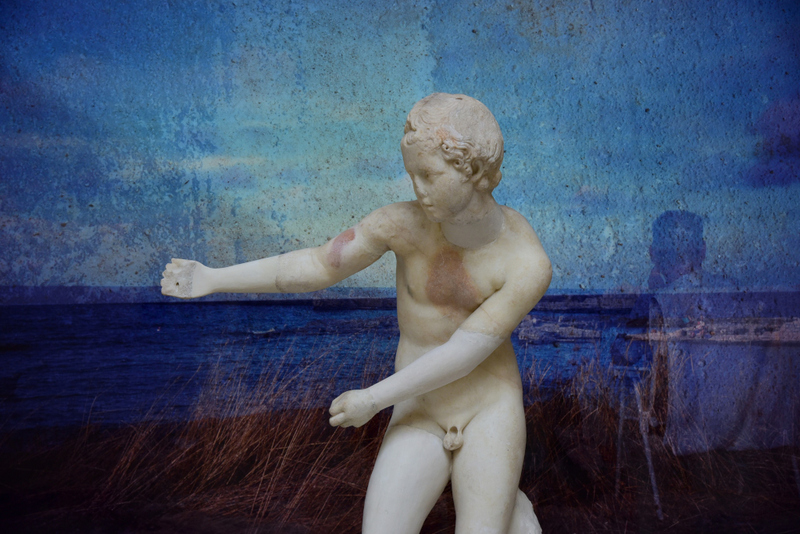 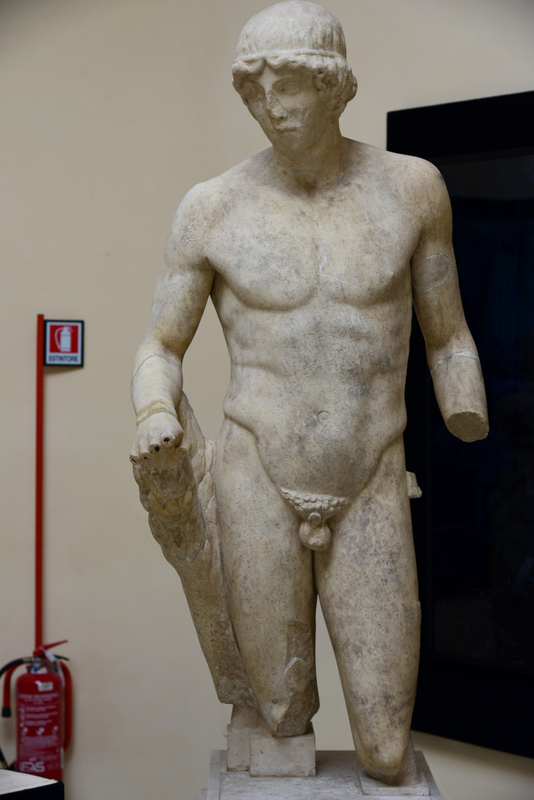 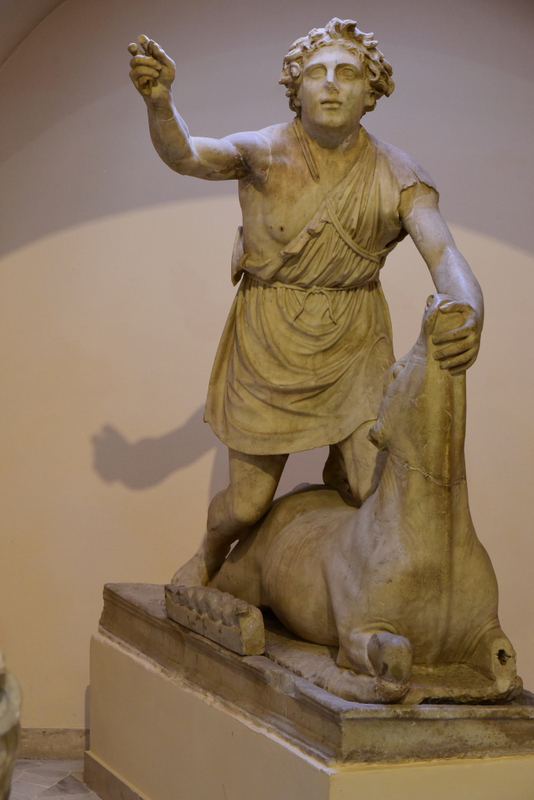 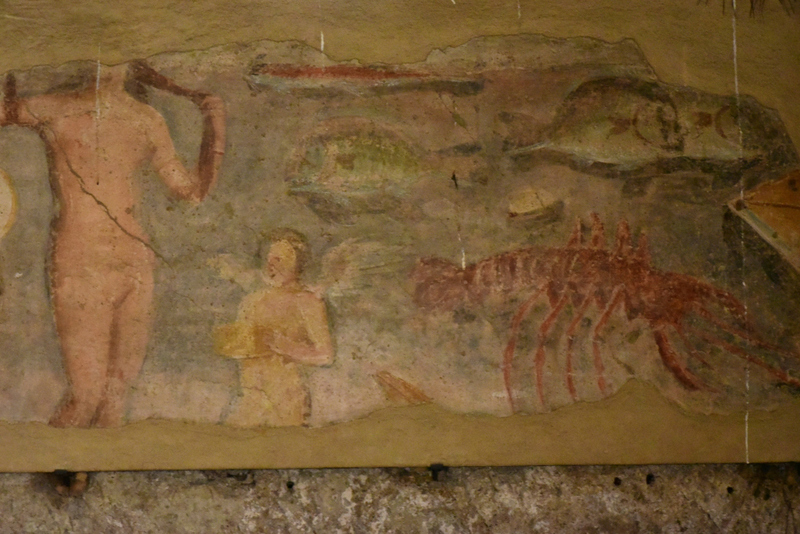 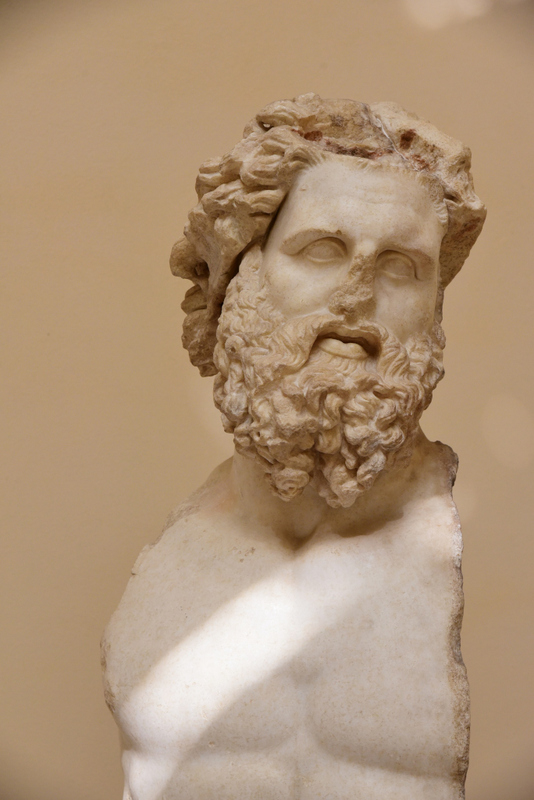 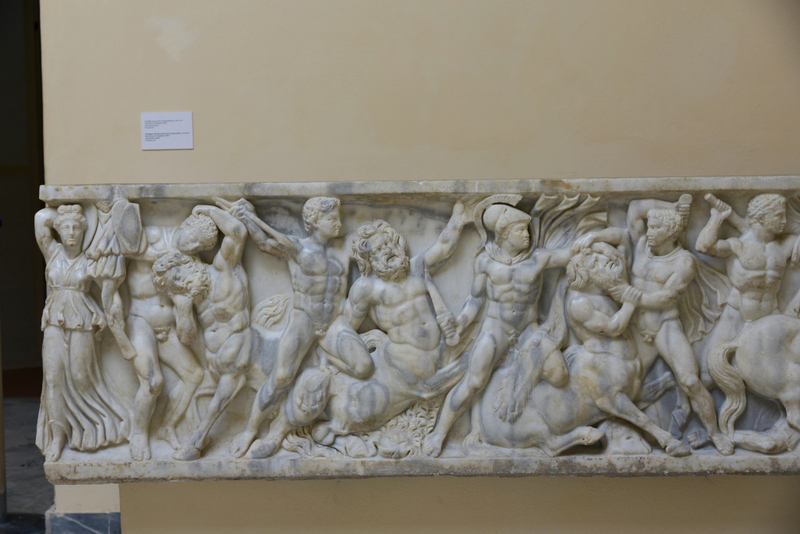 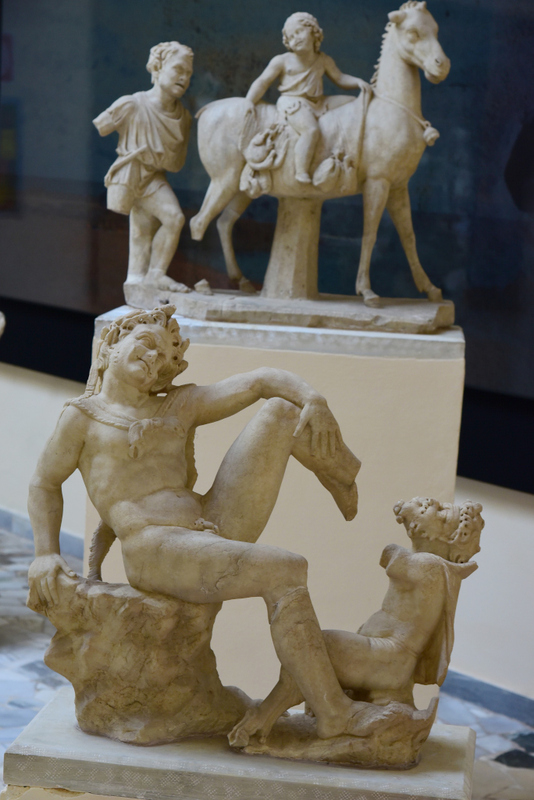 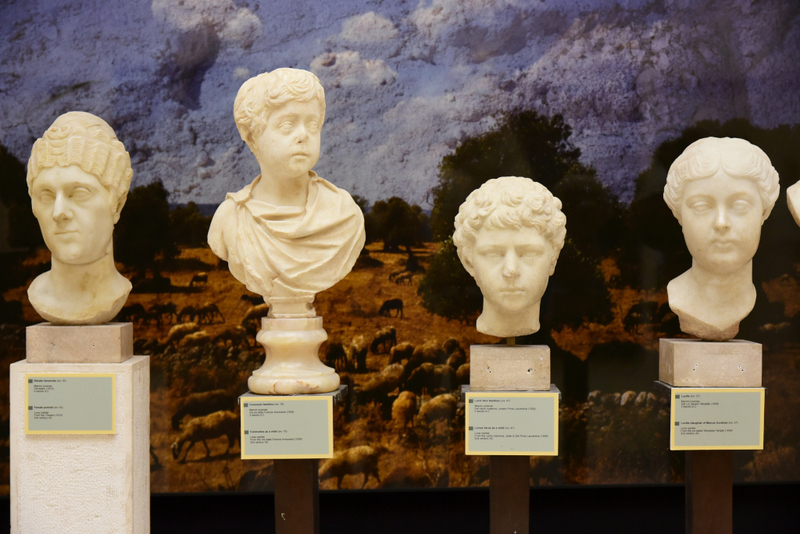 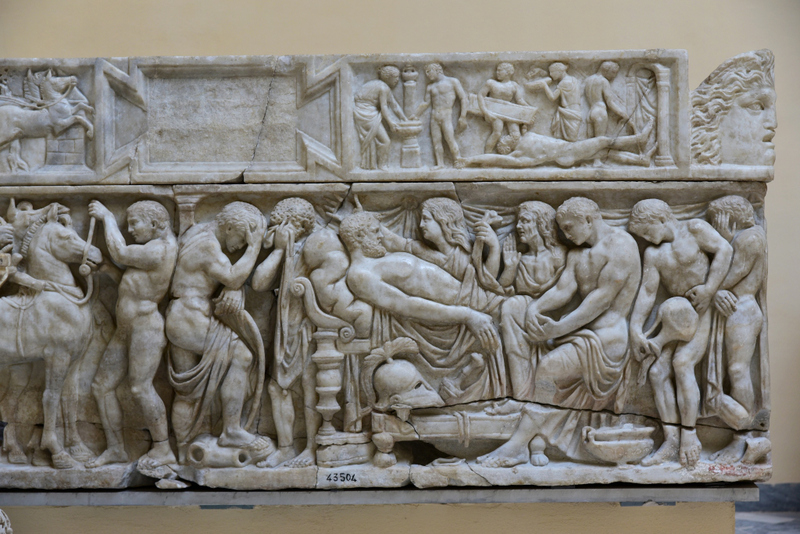 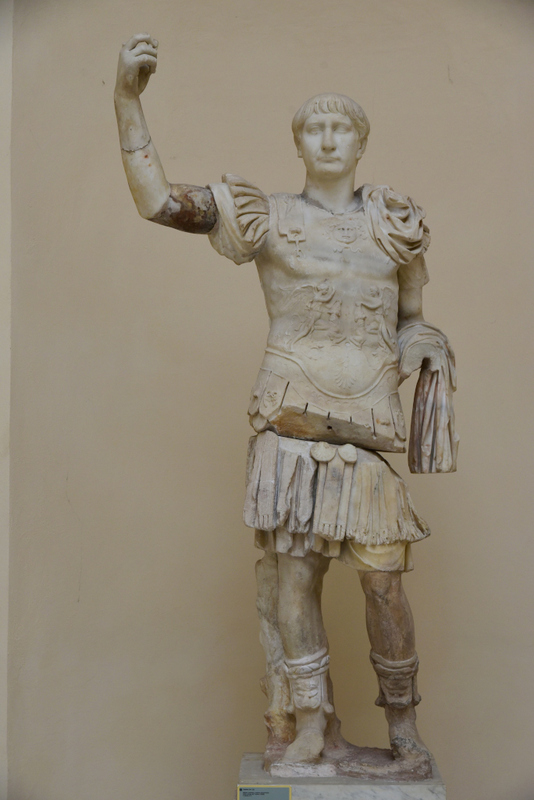 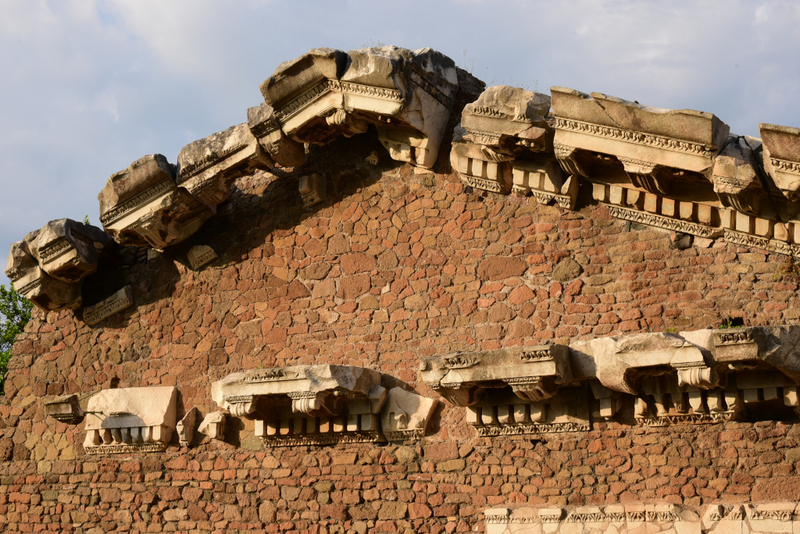 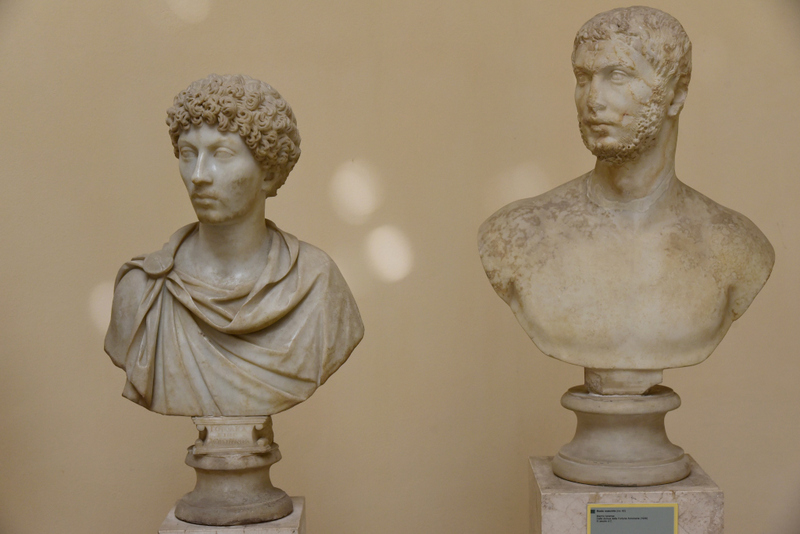 The Forum Baths were the city’s social nerve center. 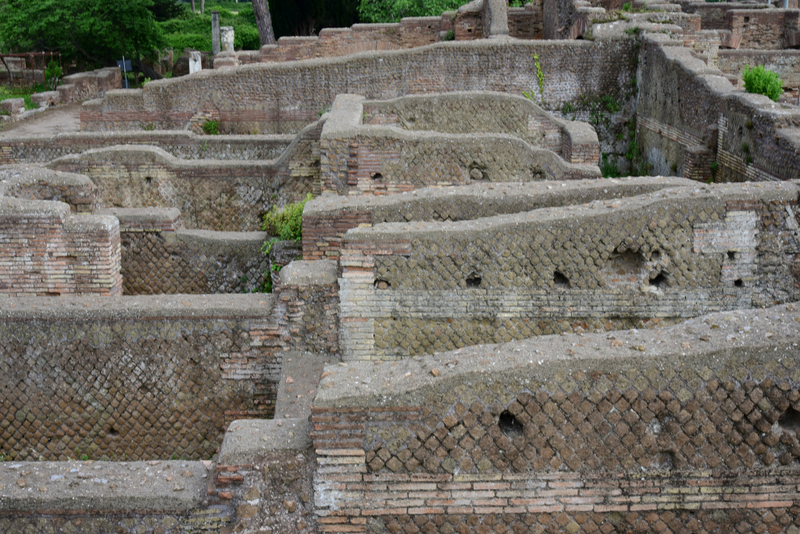 Marble steps led to the pools, and were also used for lounging. 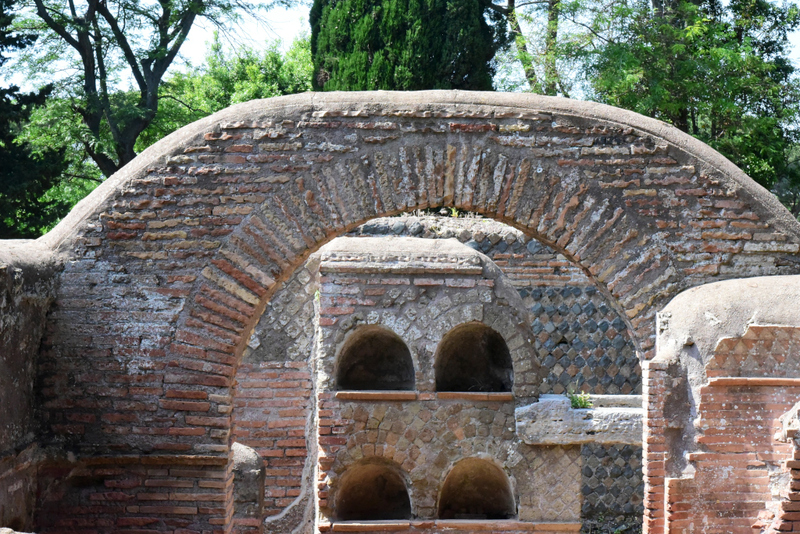 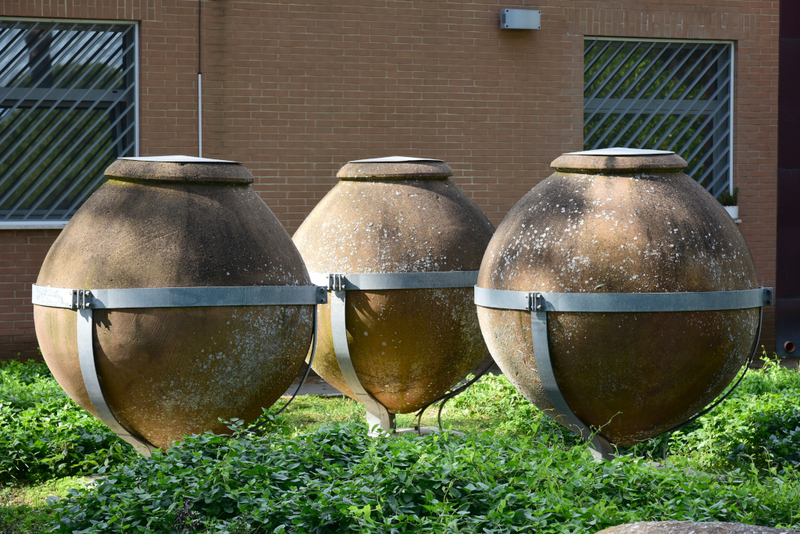 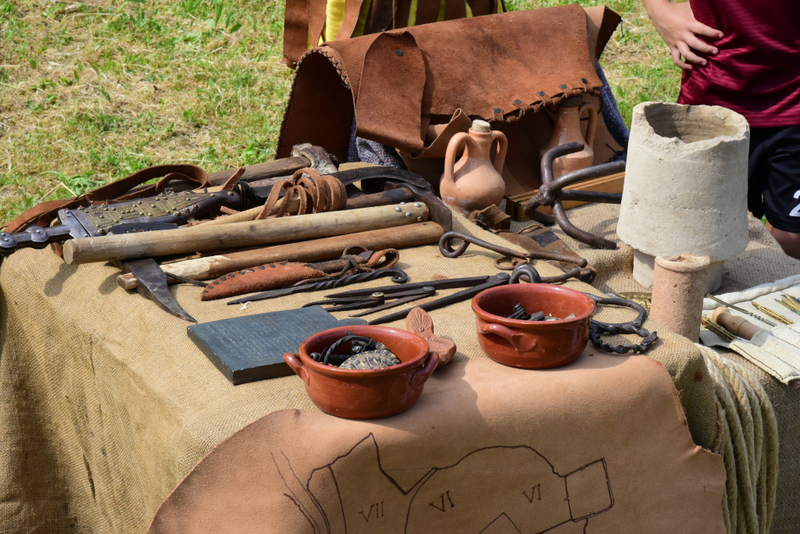 People used olive oil rather than soap to wash, so the water needed to be periodically skimmed by servants.